Today’s burning questions on the quality of education, the value of meaningful employment, and the role of civil disobedience in society are fundamentally philosophical. Public Philosophy Week—which takes places Saturday, March 23 to Sunday, March 31, 2019—is designed to bring discussions about these and other topics out of the academy and into the public square. 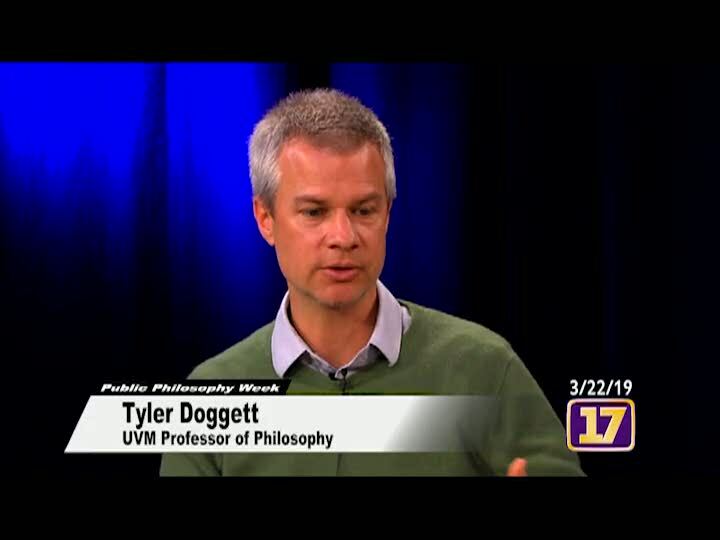 Host Barrie Silver speaks with Tyler Doggett, professor of philosophy at UVM and principal organizer of Vermont's Third Annual Public Philosophy Week, and Randall Harp, UVM associate professor of philosophy, about how philosophy is relevant to everyone and share ways to participate in Public Philosophy Week.